Maybe we didn’t know better in 1991; I certainly didn’t. But we know better now and there’s no excuse left for taking the coward’s way out. 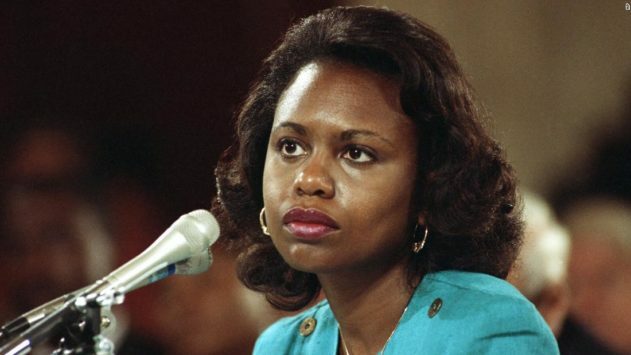 Since news broke of California professor Christine Blasey Ford’s allegation that Supreme Court nominee Brett Kavanaugh sexually assaulted her during a party when they were both in high school, I’ve had only one thought: We have to do better by Ford than we did Anita Hill. I was 13 years old when Hill’s allegations of sexual harassment by then-Supreme Court nominee Clarence Thomas surfaced in 1991. My memories of the confirmation hearings are hazy and cloaked by my youth and the passage of time. The only thing I remember clearly is that I didn’t believe her. I had every reason to believe Hill. By age 13, I’d already been sexually abused by more than one person. In each case, I’d watched as the system declined to prosecute, sometimes even assuring me that the decision was made to protect me. I knew how the system worked, and I should’ve believed Hill — but I didn’t. I didn’t believe Hill because she was a victim. And if Hill was a victim, I was a victim. Even as an adolescent, I already knew that the worst thing a woman can be is a victim. Victims are liars and sluts. They are vengeful and vindictive. Worst of all, victims are weak. Thankfully, I don’t believe that anymore. America in 2018 has the #MeToo movement and admonishes people who still ask what she was wearing and whether she tried hard enough to fight him off. Sometimes, judges who let Stanford swimmers off with a slap on the wrist after they commit sexual assault are even ousted from their positions by voters in the next election. But America in 2018 is by no means a feminist utopia. Our president is a serial sexual predator and the reactions to Ford’s allegation proved yet again that far too many people still excuse sexual misconduct — boys will be boys after all. In many ways, America in 2018 hurts more than it did in 1991. We know better now, and yet we’re still facing the confirmation of another sexual predator to the Supreme Court. During the Clarence Thomas hearings, only 27 percent of Americans polled by CBS News/New York Times said they believed Hill’s allegations were true (with little variation by gender). Hill’s accusations against Thomas didn’t so much as dent his reputation, and he was confirmed 52-48 largely because so few Americans believed her. Only a year later, however, opinions had already begun to shift. A 1992 CNN/USA Today/Gallup poll showed that 43 percent of Americans believed she had been harassed by Thomas. The biggest reason for that shift was women. In 1986, long before Hill testified about the sexual harassment she experienced at work, only 17 percent of women said sexual harassment in the workplace was a “big problem.” Within months of the hearings, 44 percent believed it was a “very serious problem.” The way women were treated at work didn’t change but their perception of what they deserved did, and we have Hill to thank for that. I’ve long regretted my youthful disregard for Hill. The first time I was asked to believe women, I didn’t. But it’s easy to see why now, with 27 years of hindsight. The hottest take a woman can still have is to discredit other women. The easiest path to “cool girl” status and social capital is still to disbelieve other women. But we know how that story ends. It ends by handing decision-making power for women to a man who has proven he has no respect for our bodies or our selves. It entrusts a liar and a predator with the power to set policy that will impact Americans for decades. It appoints another abusive man to our nation’s highest court. Maybe we didn’t know better in 1991; I certainly didn’t. But we know better now and there’s no excuse left for taking the coward’s way out. Ford has nothing to gain and everything to lose. And like Hill, she’s doing it anyway. I was taught to disbelieve women long before I realized that they were taught to disbelieve me too. This time, I won’t make the same mistake.